What is iTunes error 54? This error stops you from syncing your data from the iOS device to the iTunes in your computer. You might also face alert messages that read: “The iPhone [device name] cannot be synced. An unknown error occurred (-54)." You may try restarting your computer and try again, but it doesn’t usually fix itself. To fix this glitch, one needs to know its source and the cause of its appearance. Why does the iTunes error 54 occur? Users have also reported this to happen even when the iTunes app was upgraded. This error can be fixed in many ways. There are many third-party apps that help you fix iTunes error 54. One of the most reliable software anyone can choose is the iSkysoft Toolbox - iOS System Recovery. This versatile toolbox offers solutions to most of the problems iPhone users face, including that of iPhone error 54.
iSkysoft Toolbox is extremely user friendly. It has thorough instructions which will efficiently guide you through the whole process. With a few clicks, your iOS device can be back to normal again. This powerful app makes it easy to fix iTunes error problem. It also guarantees zero data loss. 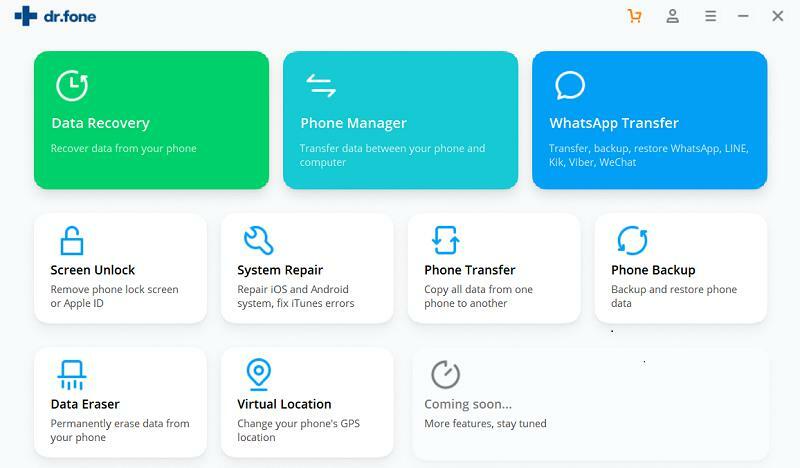 No personal data from your iPhone will be leaked, so you can rest assured and use this app for all your iPhone maintenance needs. You don’t need to hire a techy for this anymore. iSkysoft Toolbox is the software that can surely fix the iTunes error problem. Here are the simple steps by which you can fix your iPhone error 54 using iSkysoft Toolbox. Download and install iSkysoft Toolbox on your computer. Connect your iOS device to the computer using a USB cable. Launch iSkysoft Toolbox and choose "System Recovery". 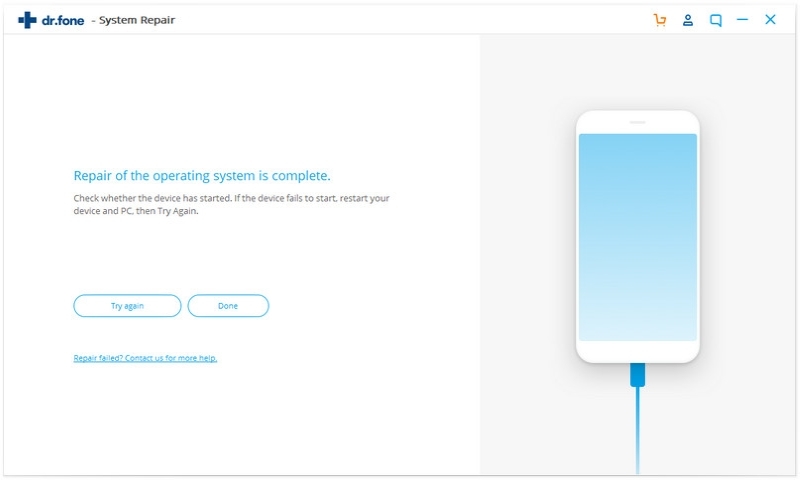 Click "Start" after the device is successfully connected. The software automatically detects the latest firmware according to your device. Download the firmware. This is a must step for fixing your device. 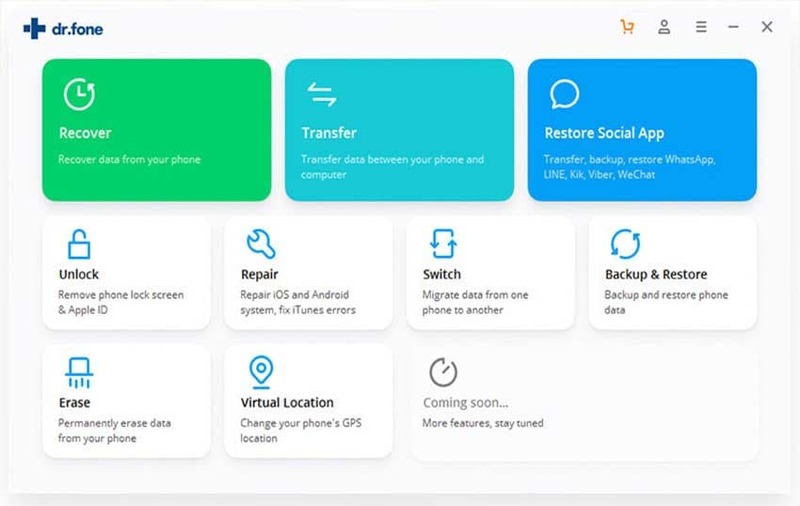 As soon as the download is finished, the software will begin with its repairing procedure automatically, bringing the iPhone back to its normal state. Apart from the third party apps like the reputed iSkysoft Toolbox, there are also certain ways you can manually try to fix the iTunes error problem. 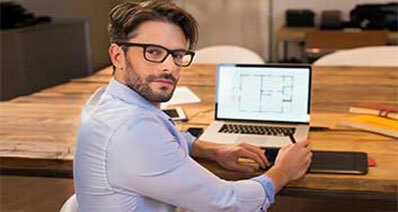 These solutions include tweaking settings on your computer as well as the iTunes app. These have often had positive results for most of the users. The iTunes error problem may pop up due to an outdated iTunes version. It is safe to keep all the software up to date to ensure the smooth functioning of the system. Make sure you have the latest iTunes version installed to avoid any iTunes error problem. 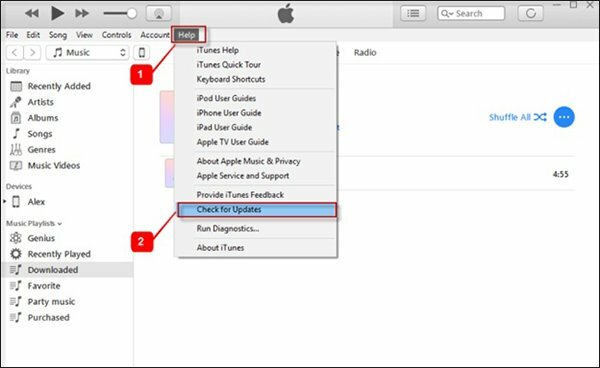 To fix iTunes error problem, launch the iTunes software on your computer (Windows or Mac) and hit the check for updates option. Simply follow the instructions to download and install the latest update available. The iPhone error 54 can be fixed in most cases if the computer lets iTunes perform smoothly. This can be done by authorising your computer. 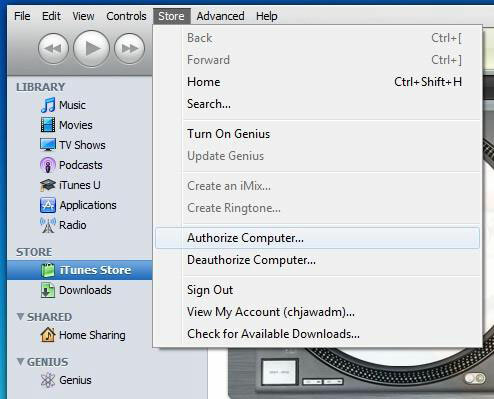 Simply open iTunes software on your computer >Click on “Store” > hit on “Authorize this Computer" option. The computer often restricts certain apps from functioning. Authorising the computer can enable the iTunes app to function efficiently. This will help you avoid the iTunes error problem. Allowing iTunes to work with administrator command lets the app to work without any hindrance. This enables the syncing to happen smoothly. 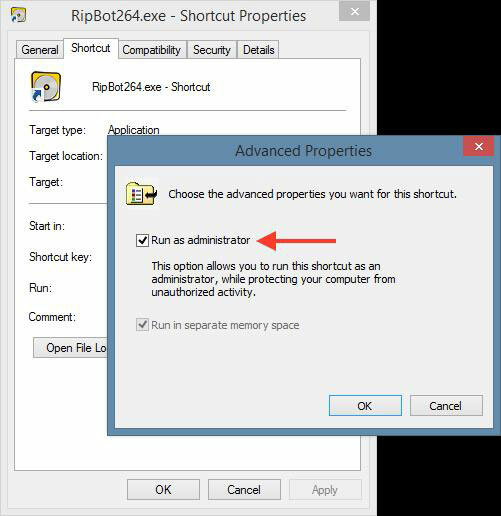 Right-click on the iTunes app icon and then select “Run as administrator” option. This ought to fix the iTunes error problem. This option can also be accessed in the Properties section of the app. This will allow iTunes to bypass all other restrictions to make sure that it can sync properly. Running the iTunes app in Administrator mode is an alternative way to make sure that you can avoid the iTunes error problem. If none of the above methods works, you can choose another great utility provided by iSkysoft. iSkysoft iTrasnfer for Mac (iTransfer for Windows) is a great alternative to iTunes when it comes to managing your data. You can safely choose this app to avoid iTunes error problem. 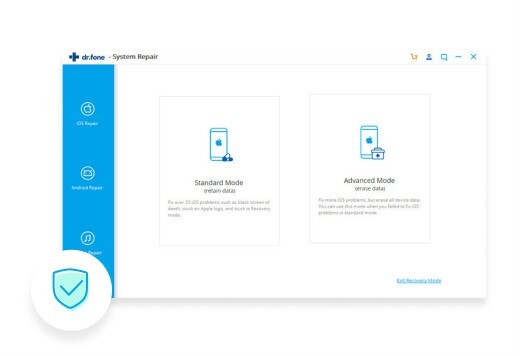 iSkysoft iTransfer is a trusted brand name and lets you connect your iOS device and sync it to your computer. Here are the main features of this software. Transfer music & videos: This app lets you transfer music and videos from iPhone/iPad/iPod to your computer. It supports all the major type of files including Podcasts, TV shows, iTunes U, and Audiobooks. All versions of iOS up to iOS 11 are supported with iSkysoft iTransfer. Transfer and Backup Photos: You can easily backup and transfer your photos and videos from iPhone to your computer. The app is compatible even with the latest iPhone X and iPhone 8. Manage and Backup SMS and Contacts: Transfer all of your Contacts and SMS from your device to your computer in just a single click. iSkysoft iTransfer is a great app to manage the content of your iOS device and to work with, as an alternative to iTunes when you are worried about how to fix iTunes error 54.